Al-Sahara brings you Halal products that maximize purity and quality. 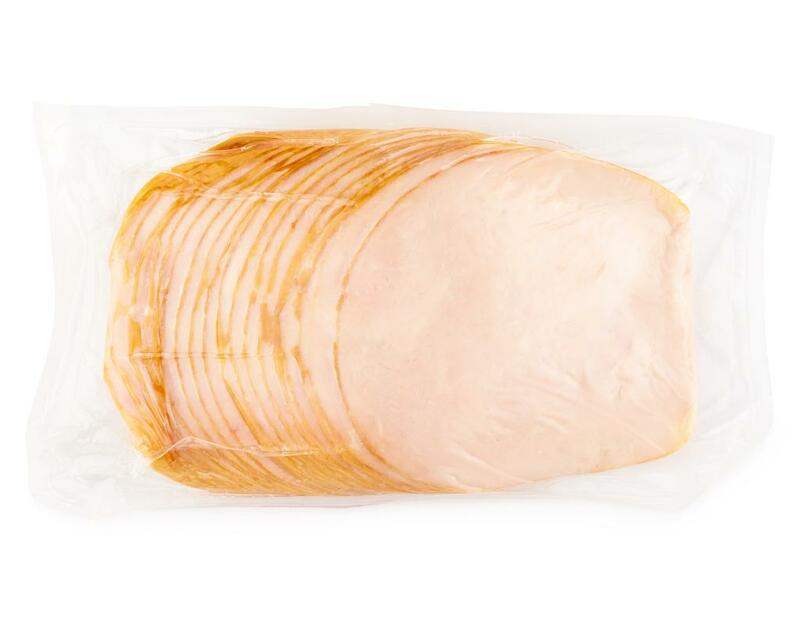 Smoked turkey breast sliced and ready to be layered into lunch sandwiches. 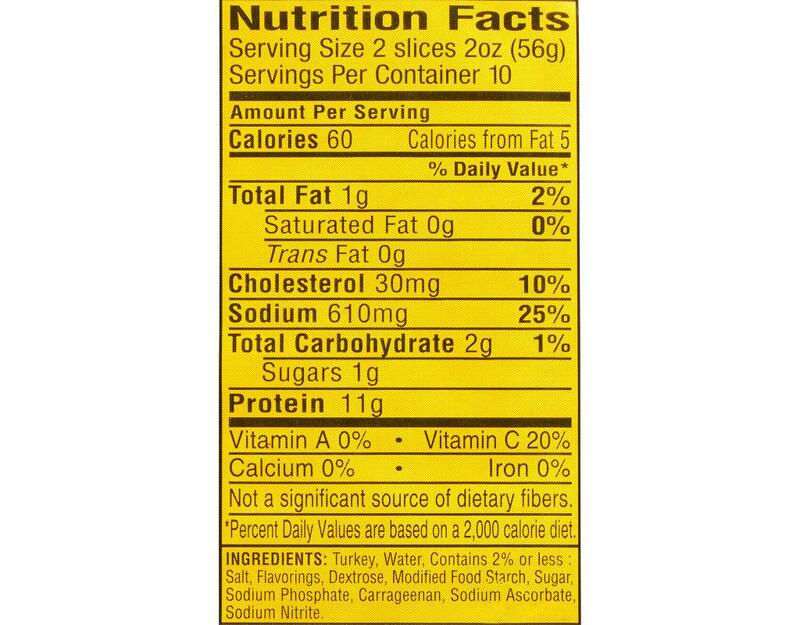 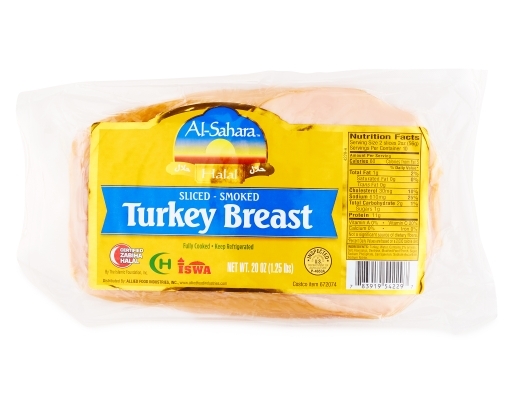 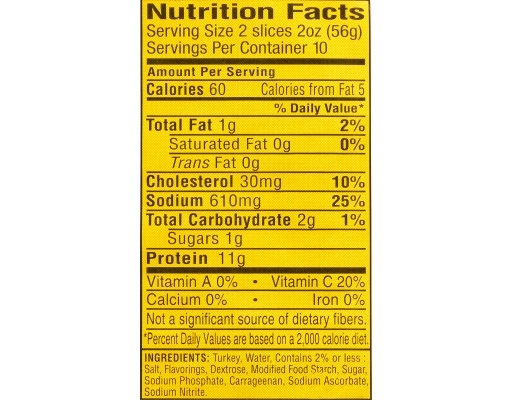 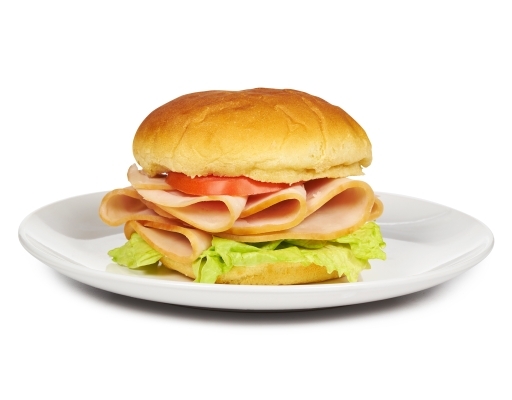 Turkey, Water, Contains 2% or less of salt, flavorings, dextrose, modified food starch, sugar, sodium phosphate, carrageenan, sodium ascorbate, sodium nitrite.